Frog pond in the garden at Hotel Bougainvillea, San Jose, Costa Rica. Three ponds in the hotel gardens were built especially as breeding habitat for the endangered blue-sided treefrog or coffee frog, Agalychnis annae. 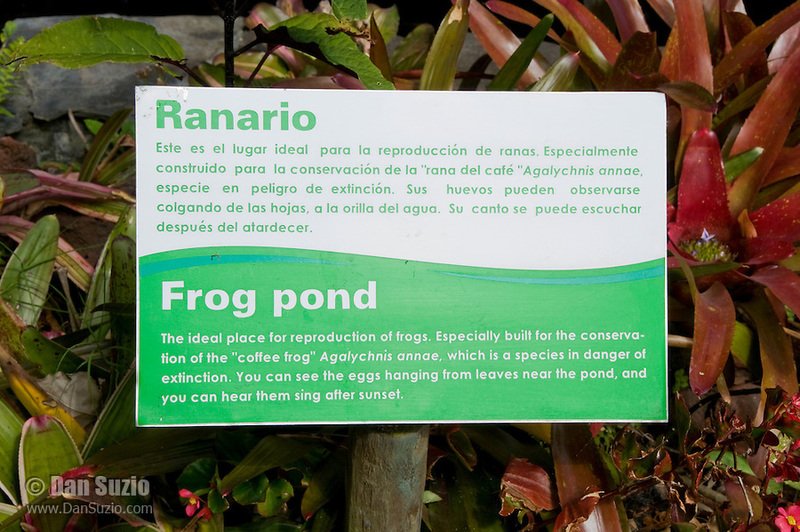 They are also home to a population of Forreri leopard frogs, Rana forreri.